Grab your coat (white coat, that is...) and head to Baton Rouge! The LSMS is pleased to offer our members this opportunity to protect your profession. 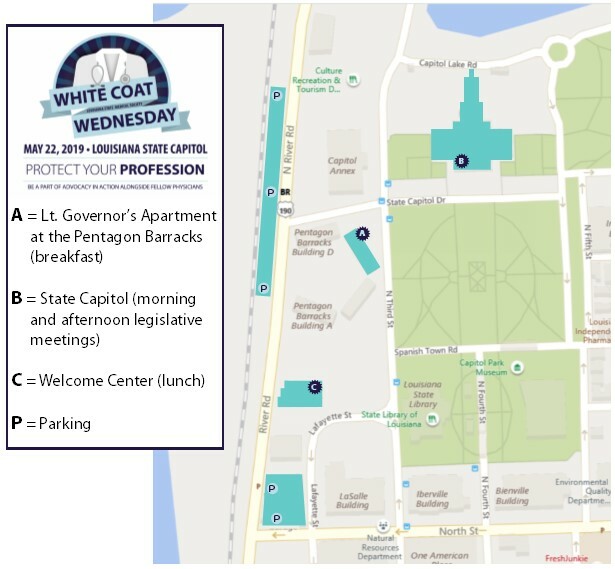 On Wednesday, May 22, 2019, we encourage you to join us for a Day of Advocacy at the State Capitol. The 2019 Session is fiscal (money, taxes, fees) in nature, but each legislator does have the opportunity to introduce five bills considered a general subject matter. We've already seen a number of bills filed that have the ability to impact your patients, your practice and your profession. 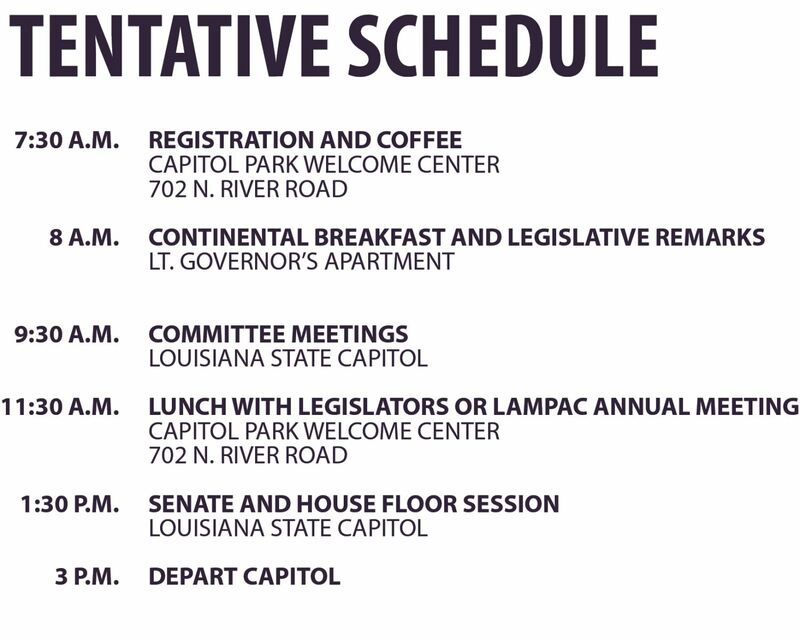 Join us to learn more and help us defend Louisiana's physicians. A desire to COME BACK next year! As you register, please complete your profile! It is critical that we have accurate addresses for you in order to match you with your legislator. Also, NEW in 2019, we are introducing text notifications for quick access to legislative information. This is not mandatory and is an opt-in, but we do recommend it as we know your email inbox fills up before your ever get to it. (We know this because ours does, too!) Check your subscriptions. Make sure you are subscribed to our "Advocacy Alert," at a minimum if you would like to receive information on legislation during session. Update your "Work Address" with your school's address. Give us a personal, permanent email address if you are graduating and won't have access to your school email in the near future. Check back for updates. As the event nears, we will add information.